The season will start at Imola on April 29. Concluding at Monza on October 21. In total there will be 7 race weekends. During the course of the final round of the 2017 Italian F.4 Championship powered by Abarth, held at Monza, the promoter WSK and AciSport Italia have released the calendar for the 2018 season. 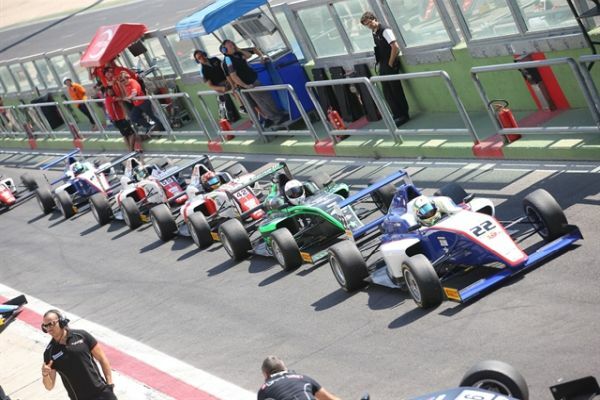 Again next year, the championship will take place at the most prestigious circuits in Italy along with the addition of the famous French circuit, Paul Ricard, which gives further international credibility to the championship. The season gets underway on the weekend of 27, 28, 29 April at Imola and concludes at Monza on 19, 20, 21 October. Arthur Rougier, French F4 Champion 2017! Is Formula 1 your dream? F4 is the first step!